We partnered with Activision to help drive sales of their wildly popular title, Big Game Hunter, by architecting a marketing promotion inside the game itself. 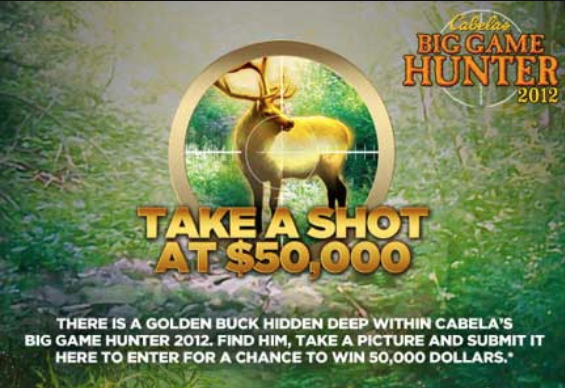 We collaborated with the game programmers to create a "Golden Buck" hidden deep inside of the game - if gamers were able to snare it and share their prize via social media, they were entered into a chance to win $50,000 real bucks outside of the game. After we build this promotion we introduced the most unlikely, but likable, character to help announce it across broadcast and social; Steve the Deer.